Kota, formerly known as Kotah, is prominent city in Indian state of Rajasthan. 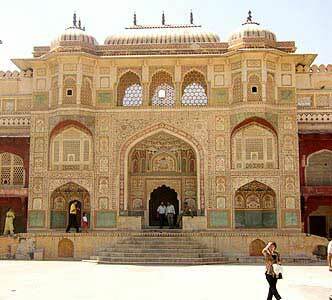 Situated on the Chambal River, the city of Kota was once the princely city in the region. During 12th century the region was under Rao Deva who belonged to Hada clan. Rao Deva was the chieftain of that community. It was Rao Deva who later brought the surrounding territory under his control and established the Budi and Hadoti and thus Kota and the surrounding region became the main place of ruling for Bhill communities. Later on the chieftain of Hada community lost to Bundi ruler Jait Sigh. During the early 17th century the Mughal Emperor Jahangir handed over Kota to Madho Singh the son of Rao Ratan Singh and thereafter Kota came to be known as an independent state. Under the rule of Madho Singh, Kota grew large in area and became richer and more powerful. Maharao Bhim Singh who was holding the Mansab of five thousands and was the first one in the dynasty to have been honored with the name Maharao played a vital role in the history of Kota. Later on Kota came under the control of the British who continued to rule it until Aug-1947 when India got independence.